Yifan Machinery independent research and development symons cone crusher in the traditional cone crusher,which solve the original high operating costs and low efficiency . While the hardness of the device to provide better and more moderate rock . Symons cone crusher Structures : SDY Series springcone crusher spring efficient , mainly from the rack, the cone assembly, moving cone assembly, spring mechanism , bowl-shaped frame portion and a shaft drive and other components. Its auxiliary part , by the electrical system , lubrication system , and hydraulic clean cavity system. There adjust the fixed cone assembly sets , rolling acetabular wall , etc., moving cone assembly mainly by the spindle , moving cone , broken walls and other components, mainly composed of large pulley transmission , drive shaft , a small bevel gear , a large bevel gear and other components. SDY series symons cone crusher as well as high efficiency, high quality stones , long crushing chamber , dry oil seal dust, crushing chamber and more high yield characteristics. 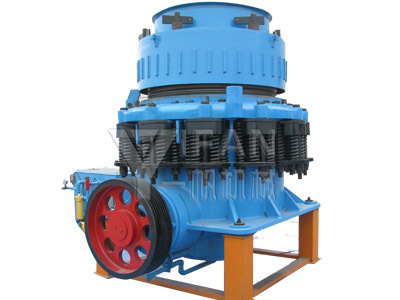 Yifan machinery cone crusher technology is mature and perfect after-sales service . It also provides a series of hydraulic cone crusher, shine in different areas .